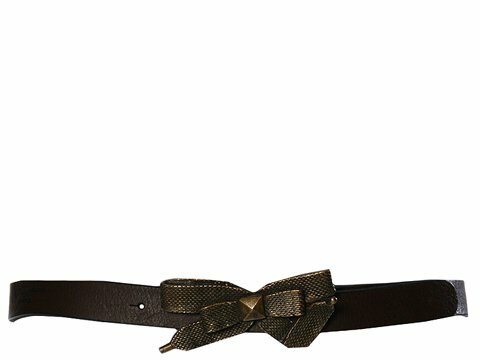 This unique belt, with a brass tone bow, will add feminine flair to any outfit. 1 wide. Leather. Made in Italy.